You can lower your utility bills and keep your family comfortable with a programmable thermostat. 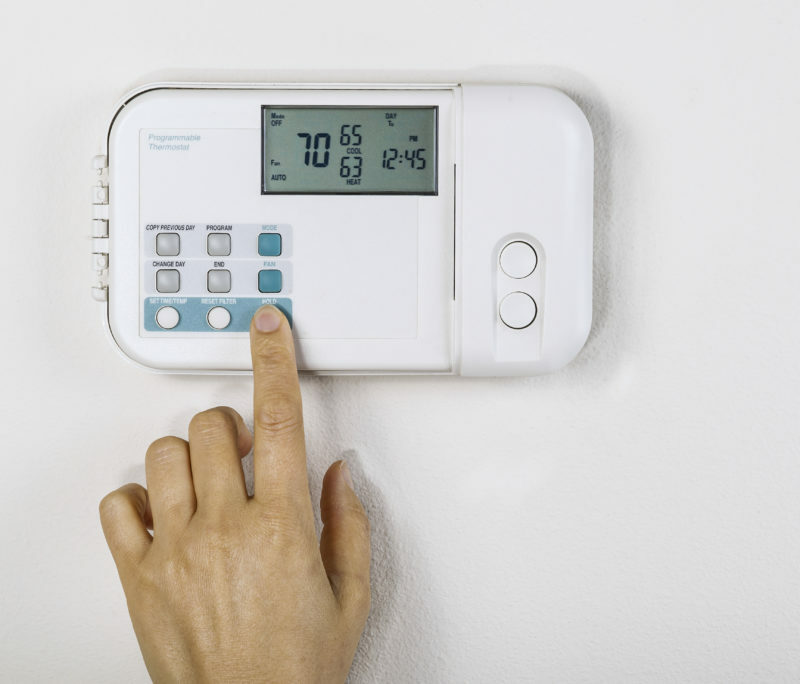 Although the initial investment may be more expensive than a conventional or manual thermostat, a programmable thermostat can pay for itself through energy savings. You won’t have to remember to set your thermostat every day to conserve power. Set your programmable thermostat correctly, don’t override your settings, and use zoning for the best home comfort results. If you don’t spend some time programming your thermostat after you have installed it, your new thermostat will work like a standard model. Some units have touch screens and remotes, and they use more power than other thermostats without programming. Choose a smart thermostat that can learn your family’s schedule if you don’t want to set a programmable thermostat. Changing the temperature in your home if you feel too warm or cold will keep you from getting some or all of the energy savings from your programmable thermostat. Instead, open your curtains during the day to let sunlight inside and add weather-stripping to your windows and doors. Have a professional check for gaps in your insulation and repair them. Think about what you can do seasonally: For example, you can reverse the direction of your ceiling fans during the winter to circulate warm air that collects near your ceilings. An air conditioning or heating system with zoning has more than one indoor unit or a series of dampers in the ductwork to direct conditioned air where it’s needed most. With a separate thermostat for each zone or area, you can control all zones at once with the right programmable thermostat. That way, you won’t have to heat or cool empty rooms. Advanced Cooling Systems is a Trane Comfort Specialist with decades of HVAC experience. We can help you install, maintain, or repair a variety of heating and cooling equipment, including packaged HVAC systems. Call us at 866-827-7662 for expert, friendly service.